What should I do to ready my car for the winter? At Garage Express based in Kingsbury North London, we know that thinking about the upcoming winter season is not a cheerful subject, however now really is the time to think about preparing your car ready for the winter weather. So what should you do? Here we have a list of hints and tips to help you. Having your car serviced before the really cold weather starts will help to keep you on the road when the weather turns. Although the MOT ensures the safety checks are carried out, this ensures that areas such as brake pad wear hasn’t gone too far since the last MOT. Checking that your battery has a good charge and can retain it well is an important element for preparing your car for the winter months. During the colder weather, the battery has to work much harder with much higher usage of features such as the lights and heating. Most car batteries have a life expectancy of approximately 5 years, so if you haven’t had a replacement in that time, it could be time to change. The colder weather will mean that you have to ensure the car’s coolant system is topped up with antifreeze. This should be at around the 50 to 50 mix with the water. Please read your vehicle manual for specific advice. It may seem like a minor issue, but it really helps to check as the levels are often more diluted over time. The spray from the wet roads is much dirtier during the winter months due to all the additional salts and mud, therefore you must maintain the screen wash levels and ensure that the wipers are in a good condition to clear your windscreen well. You should also make sure that any cracks in the windscreen are either repair or if necessary a replacement windscreen. There is also the option to include services such as our RainAway service that uses nano-technology to help clear the windows of rain much more easily than with wipers alone. 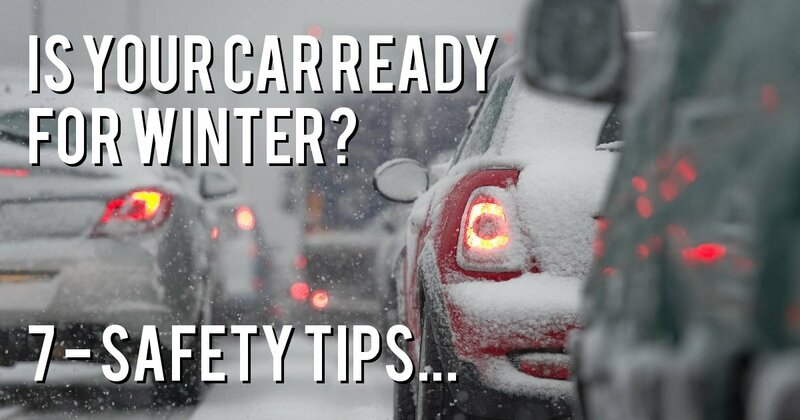 By following these simple steps you will be able to have a trouble free and safer car or van for the winter. If you would like to book your car in for us to be able to help you ready yourself for the coming winter, please give us a call on 0208 905 8788.